I think you should do the locker DIYs before advice. They both sound like they'll be really good, and knowing your posts, I'm sure they will be! These are all great, I've definitely been doing the washi tape one a lot. Locker diy/organizations! I'm horrible at figuring out how to organize my locker. Coll DIY and I think more advice and organization stuff sounds cool. Great tips! I especially love the band lyrics one! 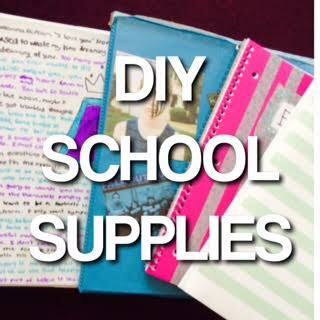 I think middle school advice and locker DIYs both sound fun, but I would really love to see middle school advice! Same, I think that one is my favorite! You do have a point. Well, nail polish remover takes off Sharpie! Cool post! I think either one of the posts you mentioned you could do next would be FABULOUS!!! Please do a locker organisation!!! I am going to start high school this September and I know NOTHING about organisation! OH MY GOODNESS I LOVE YOUR BLOG SO MUCH. I'M DYING. 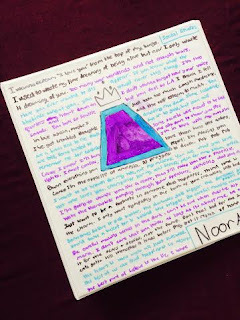 Wow noor ! great to see your blog is still doing great ! A blackboard covered notebook sounds like the most amazing thing ever. I wonder why I have never thought of trying that before. That would be so useful for my writing notebooks actually. I *love* this post! Good job!